Back in 2011 I found myself out of funds, and ended up camping in a Turkish field. It was the best thing that happened to me. I learned just how easy it is to be happy when you're close to the Earth. Eventually, I built my own mud home, installed solar power, and pursued my dream of writing. Now I am free! I'm passionate about people liberating themselves from the system, building their own natural homes, and reconnecting with nature. I hope this website inspires you to do any or all of the above. Because this kind of lifestyle is not only sustainable, it's magic. 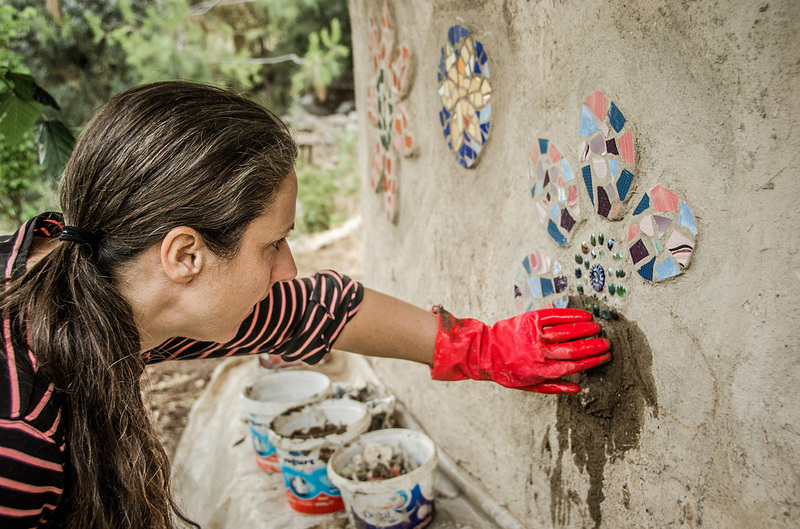 On The Mud website, you can find a wealth of information on EARTHBAG BUILDING, LIVING OFF GRID, or if it's inspiration you're after, read about my own journey in the MUD MOUNTAIN BLOG. I'm author of the prize-winning novel Ayse's Trail, and Mud Ball, the popular true story of how I clawed my way out of the system. Loves include my dog, trees, building with mud, and writing. A mug of decent ground coffee (preferably accompanied by a nice piece of cake) doesn't go amiss either. I have little patience for cooking, impromptu 'guests' and concrete. 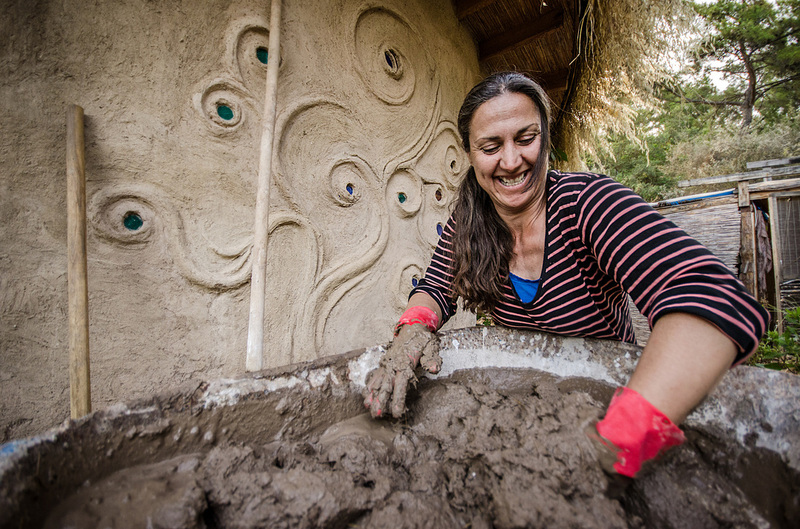 ​Although somewhat reclusive in the mud world, I am virtually very sociable and always happy to answer questions online about earthbag building. Empowering people to escape the drudge and construct their own natural homes is my aim, so feel free to contact me, or post to The Mud Facebook Page. I give away shovel loads of free information to Mud subscribers, so if you haven't got yourself on the list yet, you might want to.